CWB Chicago: Did Ya Hear The "Joke" About Shooting A Woman At Montrose Beach? Did Ya Hear The "Joke" About Shooting A Woman At Montrose Beach? An Uptown man pointed a look-alike handgun at a woman near Montrose Beach and pulled the trigger, causing the woman to think that she was going to be shot, prosecutors said. Christopher Tucker, 32, was arrested around 7 p.m. on July 14 in the 4400 block of North Simmonds Drive. 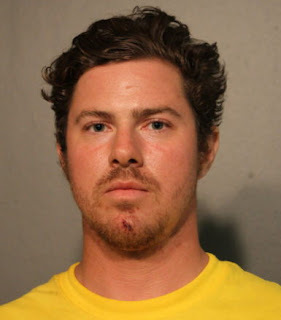 A 29-year-old woman told police that Tucker pointed the black gun at her, said “Chicago is a dangerous place,” and then pulled the trigger, according to court records. He’s charged with aggravated assault with a deadly weapon and possession of a replica firearm.